Take advantage of this service and visit one of the most important monuments in Rome with the explanation of an audio guide! 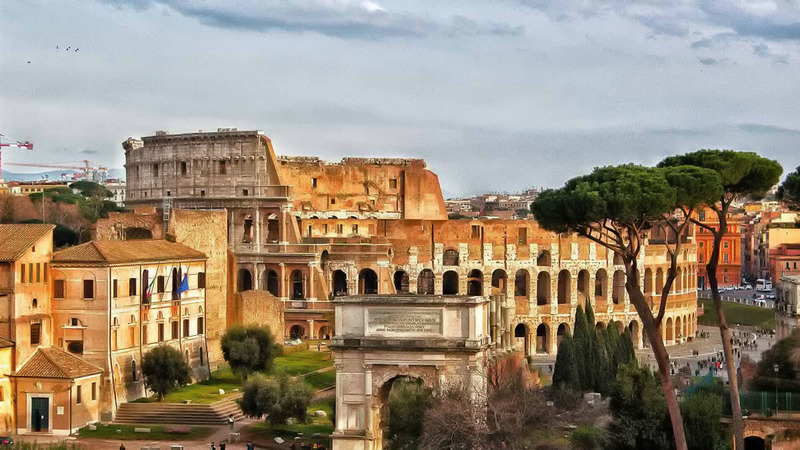 Head to the “Roman Empire” Travel Agency in Via Capo d’Africa, 15/a (200 meters from the attraction) to exchange your digital or printed voucher and pick up your ticket for Colosseum, Roman Forum, and Palatine. Once you get at the travel agency, the service staff will let you download the app (Available for Android and iOS) with the audio guide (they will provide the access to agency WiFi). With your skip-the-line ticket, you can reach the entrance for security checks instead of waiting a long time in the "insane" regular line. Once you enter the Colosseum, you will put yourself in the shoes of the famous gladiators and fighters that fought there a long time ago. But that's not all: with your special ticket, you can visit also the Roman Forum & the Palatine Hill for two consecutive days (audioguide included). The Roman Forum was the center of day-to-day life in Rome, the city's main piazza where citizens of every social level met to exchange opinions. The Palatine Hill is one of the most ancient parts of Rome. Tickets and Audioguide App will be released by Roman Empire Agency (Via Capo d'Africa 15/a, near the Colosseum). The staff will take you to the entrance.